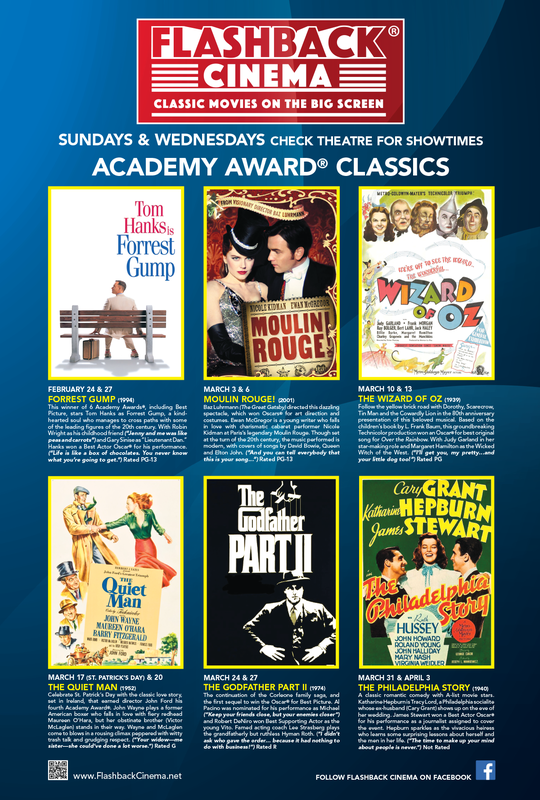 MJR® Digital Cinema and Flashback Cinema℠ present Classic Movies on the Big Screen—only at select theaters. 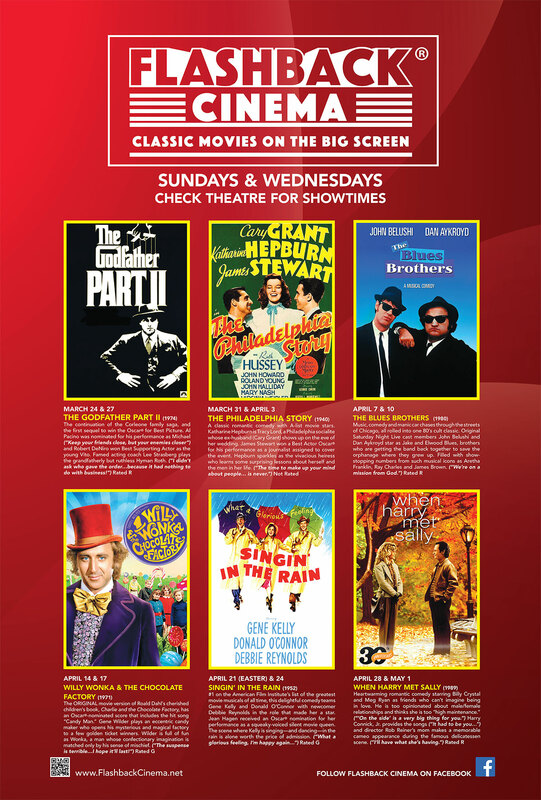 Every Sunday and Wednesday, let these silver screen classics win your heart all over again. No matter how many times you've seen a great film, there's nothing like experiencing it back on the big screen! Visit Flashback Cinema for more information.